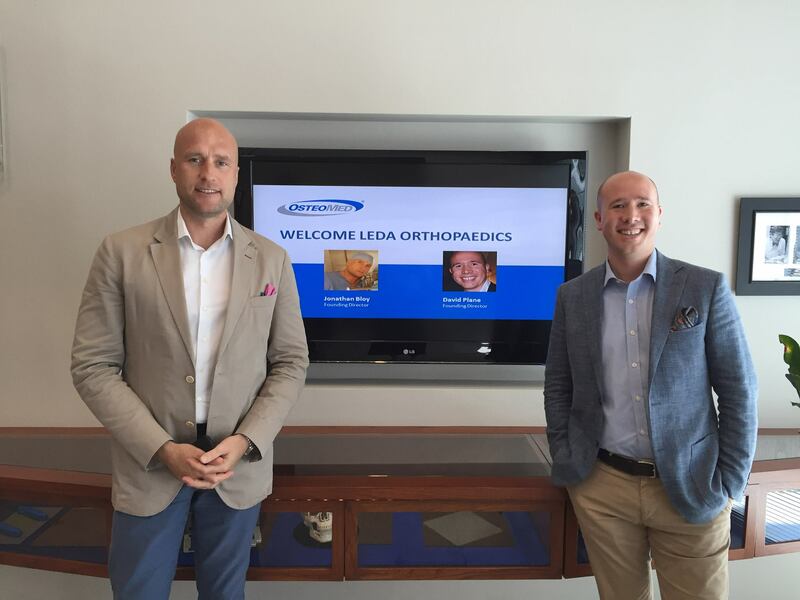 About Us - LEDA are a UK orthopeadic distributors. LEDA are independently run, UK orthopaedic distributors. Our focus is on market-leading customer service, providing consultative procedural knowledge and personal product advice to a highly professional client base. LEDA were established in October 2013 by Managing Directors, David Plane and Jonathan Bloy. When we established the company, we had one overriding goal: to provide exceptional levels of service to our customers and always enjoy what we do! LEDA cover the UK and Ireland as orthopaedic distributor / agents for 6 multinational manufacturer-suppliers. We began as sales agents for Wright Medical and Lima Corporate, and naturally progressed into stock-holding representatives for innovative international manufacturers like Skeletal Dynamics and Bone Foam Inc.
We have over 20 years’ collective experience in the Orthopaedic / Medical Device industry. Our directors have worked for international and domestic orthopaedic companies, and the other members of our team come from a wide variety of backgrounds. LEDA have a team of 7 field-based sales professionals covering all corners of the UK.